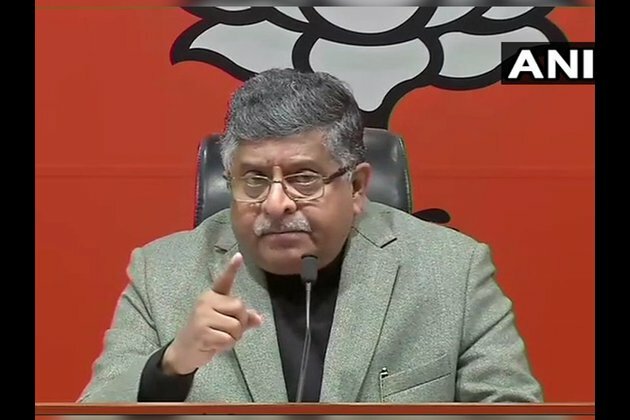 New Delhi (India), Jan 22 (ANI): Union Minister Ravi Shankar Prasad on Tuesday questioned the presence of senior advocate and Congress leader Kapil Sibal in the London EVM Hackathon event on Monday. "What was Mr Kapil Sibal doing there? In what capacity was he present there? I believe he was monitoring the situation on behalf of Congress party. Is the Congress sponsored event designed to insult the popular mandate of 2014?" Prasad asked during a press conference here. During the event, allegations surfaced about the possibility of tampering EVMs. Taking note of the same, the Election Commission of India (ECI) refuted the same and threatened legal action against the 'cybersecurity expert'. Allegations had also surfaced that late BJP leader Gopinath Munde was aware of alleged EVM tampering ahead of the 2014 general elections. NCP MLC Dhananjay Munde, however, demanded a probe in the "shocking revelation".